CrossFit Ickenham views complaints as an opportunity to learn and improve the service they offer their customers, as well as a chance to put things right when a customer is unhappy with a service they have received. To provide a fair complaints procedure which is clear and easy to understand. To publicise the existence of our complaints procedure so that customers know how to contact us to make a complaint. To ensure that everyone at CrossFit Ickenham knows what to do if a complaint is received. To make sure all complaints are investigated fully, fairly and without undue delay. To ensure that complaints are resolved amicably, wherever possible, to maintain a good relationship with the customer. 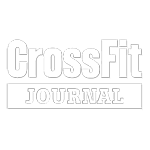 To collate information regarding the complaint to enable CrossFit Ickenham to review its procedures to improve the service offered in the future. A complaint is any expression of dissatisfaction, whether justified or not, relating to any aspect of goods or services supplied by CrossFit Ickenham. Complaints may arise from any person or company who is regarded as a customer of CrossFit Ickenham. All information relating to a complaint against CrossFit Ickenham will be handled sensitively and held in accordance with Data Protection legislation. Where appropriate, ask the complainant to send a written account of the complaint by post or email so that the complaint is recorded in the complainant’s own words. All complaints will be acknowledged by the person handling the complaint. The complainant will be kept informed as to the status of their complaint and when they can expect to receive a reply. If we, CrossFit Ickenham are unable to resolve a complaint that you make within eight weeks you can take your complaint to the RetailADR.